Your Trusted Hauling Experts for over 32 Years. Are you in need of having any heavy equipment or oversized loads hauled to a specific location on a timely manner and in great shape? 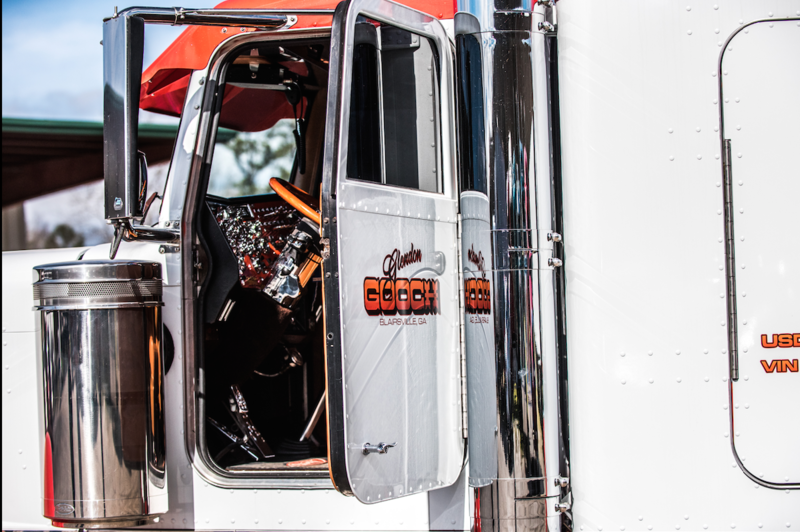 Look no further than the services of Gooch Trucking Company! Gooch Trucking Company has many years of experience in hauling and transporting many different types of equipment all over the country from military equipment(tanks, trucks), lumber(wood), construction equipment(bulldozers, excavators, cranes, mezzanines, dump trucks, directional boring drill rigs), agricultural equipment(tractors, skid steers, water tanks, etc. ), rock/stone, landfill liners, all the way to furniture, tarped mulch, and even hay. Pretty much anything you can think of, we haul it. Not only are we known for hauling these products, but we are known for hauling them in a responsible, safe, and timely manner. Gooch Trucking is your top choice for flatbed transportation! Are you a natural gas or propane wholesaler looking for a reliable transporter? 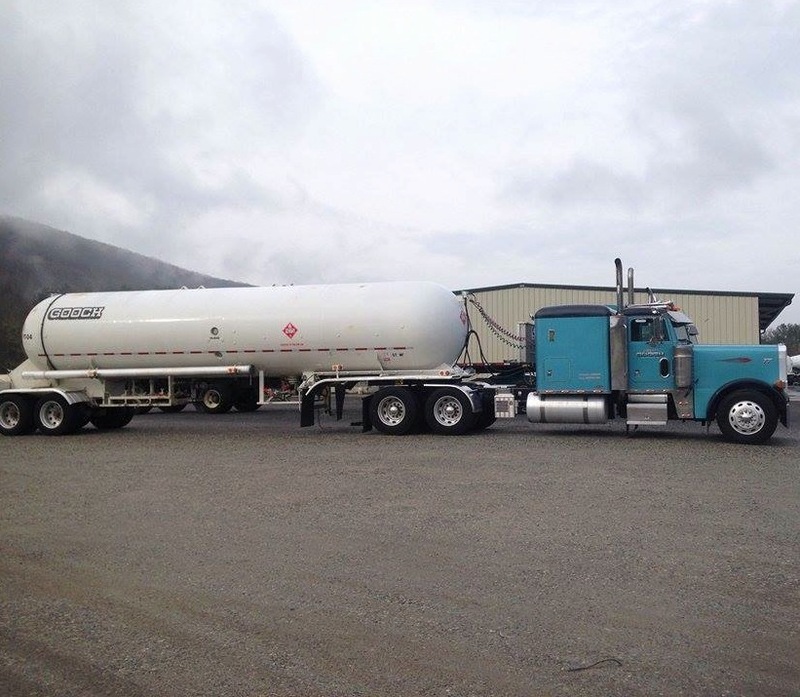 If there is one thing Gooch Trucking is known for the most out of any other service we offer, it is the transportation of hazardous material such as liquid propane gas(LPG) and liquified natural gas(LNG). 9 times out 10 that you see a Gooch Trucking big rig on the road, it is going to be hooked up to a propane tank or a natural gas tank. Our HAZMAT transportation services are usually done in the Southeast region of the United States, but can expand depending on your location and needs. By choosing us, you will not only make the right choice, you will make the most reliable and most safe choice. Are you a concrete wholesaler in need of the product used to mix your concrete/cement for your customers? We have 10 new pneumatic trailers waiting to bring you the powder needed to assist you! We have provided 1st rate service hauling powder to large concrete wholesalers for over 5 years. These services are based primarily in the Southeast region. Do you have products, such as food grade products, that need to be enclosed/weathered on their way to and from their location(s) of interest? No worries, we have you covered! We have experience in hauling many products that need the same transportation conditions as food grade products like parison bottles, flowers/plants, etc. Be sure to call and find out what we can do for you! Flatbeds– Also known as floats. The flatbed lengths come in 53′, 48′ 45′, 40′ and 24′. The most common out there is your 48′. The 53′ trailers are becoming popular but statistics would prove there to be more of the 48′ on the road. The widths of the trailers usually run about 102″ wide. However, you might run in to a trailer that is only 96″. It is very important that you know the dimensions of the commodity before setting up the driver for the load. The last thing you need is a truck order not used, an angry driver and an upset customer because you did not send in the correct trailer to handle the dimensions and weight. The height of a flatbed is generally 60″ off the ground. Most flatbeds can scale 48,000 pounds and some can scale a little more and some a little less. It just depends on how much their truck and trailer weigh. 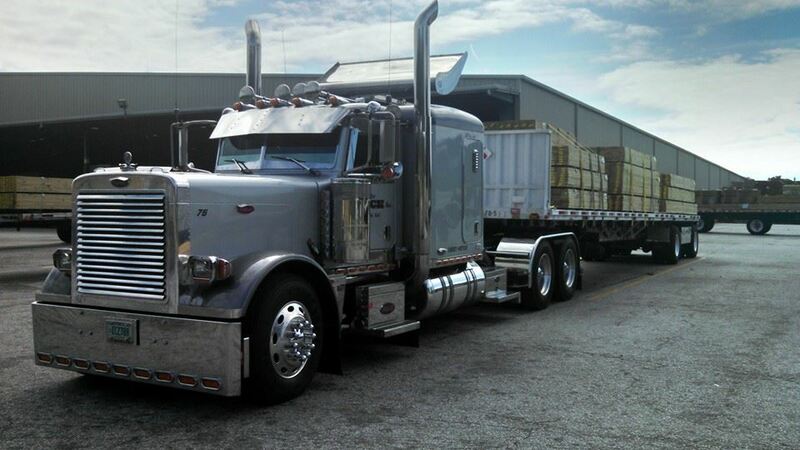 Flatbeds with a side kit: This is when a driver or owner will take their standard flatbed and put a “side kit” on it. Most common kits have 4′ sides and then there are bows that attach from one side to the other allowing them to put a tarp over the top. This type of trailer is used for hauling your smaller commodity. The inside heights are usually 6′ at center of the bows and usually only 4′ on the sides. Be careful once again with height on this. KNOW YOUR COMMODITY AND THE DIMENSIONS! They can scale the same as the regular flatbed depending on weight of truck and trailer. A power only or also known as a tow away is exactly how it sounds. It’s a truck without a trailer and the driver just hooks on to a trailer and takes it to the destination. We use tow aways for the movement of van and pole trailers in the pipeline industry. Make sure in what you are needing moved does or does not require a pintle hook. Your construction trailers needing to be moved will require the tow away to have a pintle hook and there are ball hook ups, and fifth wheels. A step deck is similar to a flatbed however, it has a drop in the trailer to allow for taller freight. Most of your steps are either 53′ 51 and 48′ in length. There is usually 10′-11′ on the top deck and then it drops down about 24″ with the rest of the deck on 53′ trailer coming in around 42′ to 43′ and on a 48′ step they come in at 37′ to 38′. The width is the same as a flatbed, usually 102″. 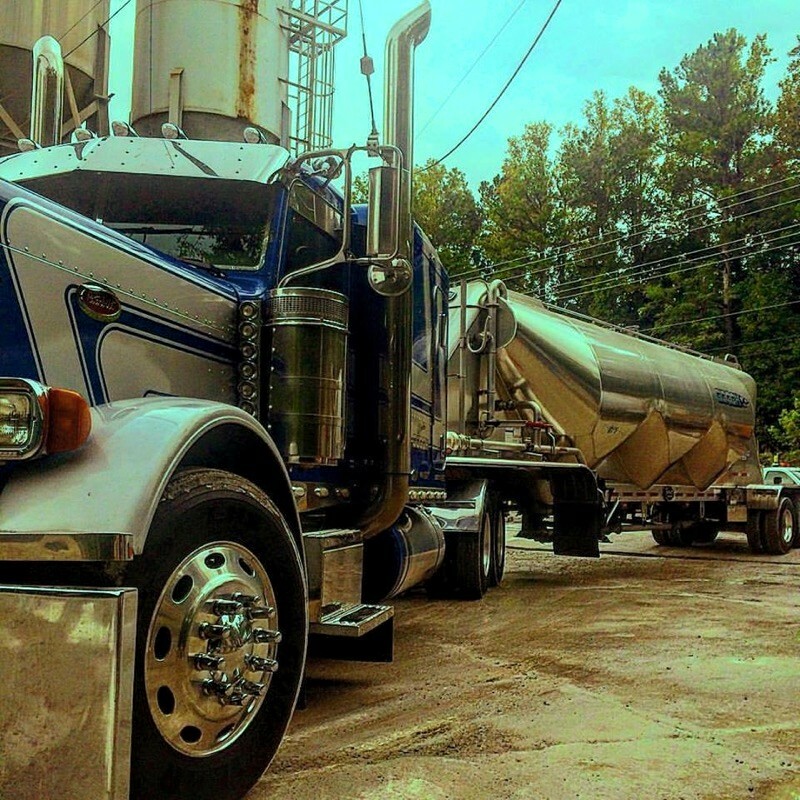 Step decks usually cannot scale as much weight as a flatbed, usually about 42,000 to 44,000 pounds. The lowboy trailers are slowly being replaced by the removable gooseneck due to their limited functions. The lowboys are used for heavy equipment but do not have the removable goose neck capability or functions to retract down to ramps and having the equipment driven up in to the well. RGN or Removable Goose Neck: The RGN is is used for loading larger machinery or over-sized cargo. The trailer mechanically works in the front of the gooseneck which retracts down in to a ramp. Now we have a ramp on the ground to drive your machinery up in to the well. The RGN usually has 29′ in the well unless it is extendable. The legal dimensions are usually 12′ high and the legal width of 8’6″. Extensions and a booster on the back can be added so they can insert their extendable making their well larger, known as a stretch RGN. It can stretch out to whatever you need in the well. I cannot stress enough how important it is to know what you are hauling and to have the correct deminsions. You will need accurate deminsions for the permits anyway. Many problems can arise from sending in a 6 axle RGN for an 88,000 pound excavator. It will not be able to handle the weight causing you a truck order not used, the cost of incorrect permits and could cost you a customer and a carrier in the long run while you try to recover that load. Money is time and time is money while it just sits there waiting for the correct size RGN to come in. Always go after that fall off load too. That is the detachable pieces that follow since permits only allow the one piece of equipment permitted. It is good to run the RGN and the fall off closely together so no confusion comes in to play and the receiver can immediately attach the pieces back together. *Van: A van trailer is probably the most common type of trailer. They are usually 48′ to 53′ long. Their width is still about 102″ and their inside height be the same. It is important to know if it has a “swing door” or a “roll door”. If it has a roll door you might not be able to get your product through the opening and would need a swing door. Vans are made for palletized freight. The dimensions of a standard pallet is 48″x48″x48″ allowing the shipper to put two side by side and two high with a little extra room to spare. Vans can usually scale up to 44,000 pounds. *Reefer: A reefer is similar to a van but is insulated and has a cooling unit attached to the front of the trailer. This allows for carrying freight that needs to be kept at a constant temperature. The dimensions are the same as a van except for the inside and they are usually about 99″-100″ wide due to the insulation they put in the walls to keep the specific temperature needed for your commodity. We are Ready to Haul for You!